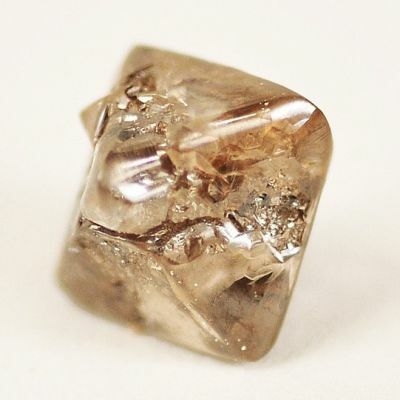 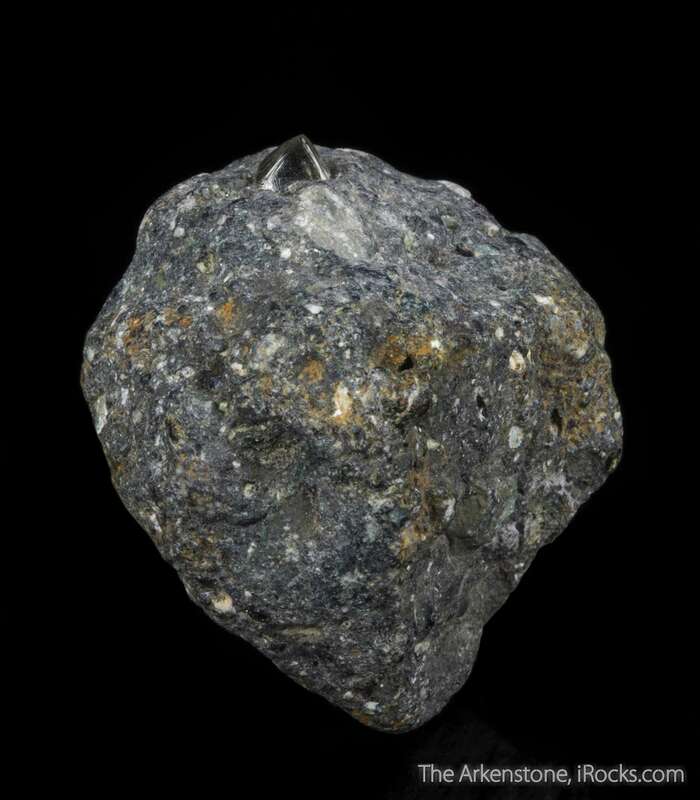 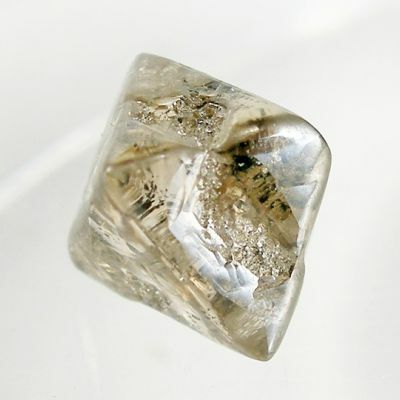 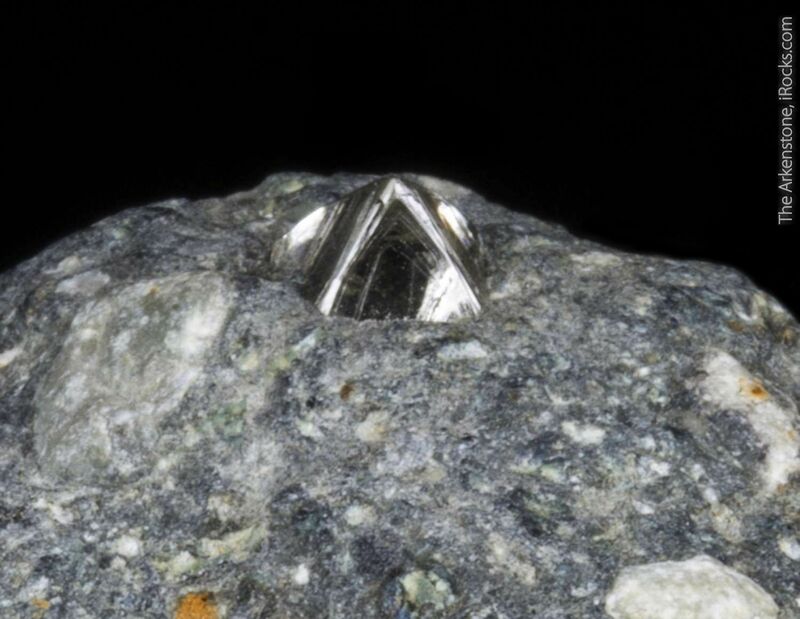 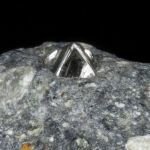 Natural matrix Russian diamonds are hard to obtain these days. 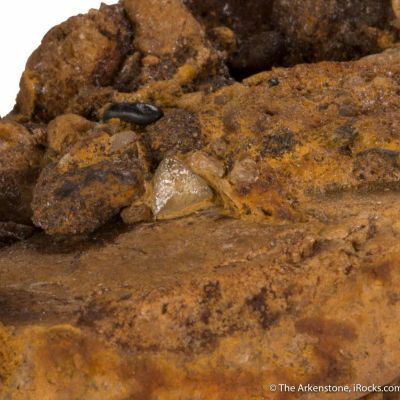 These pieces came out in the 1980s, as part of commercial work that Dr. Art Soregaroli was doing in the mining community. 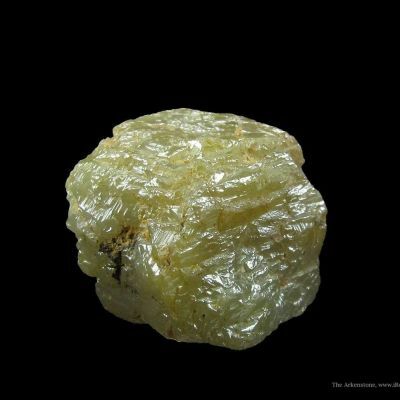 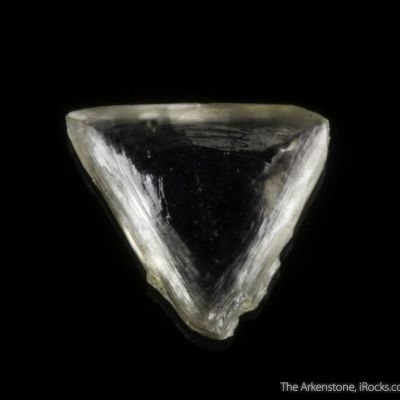 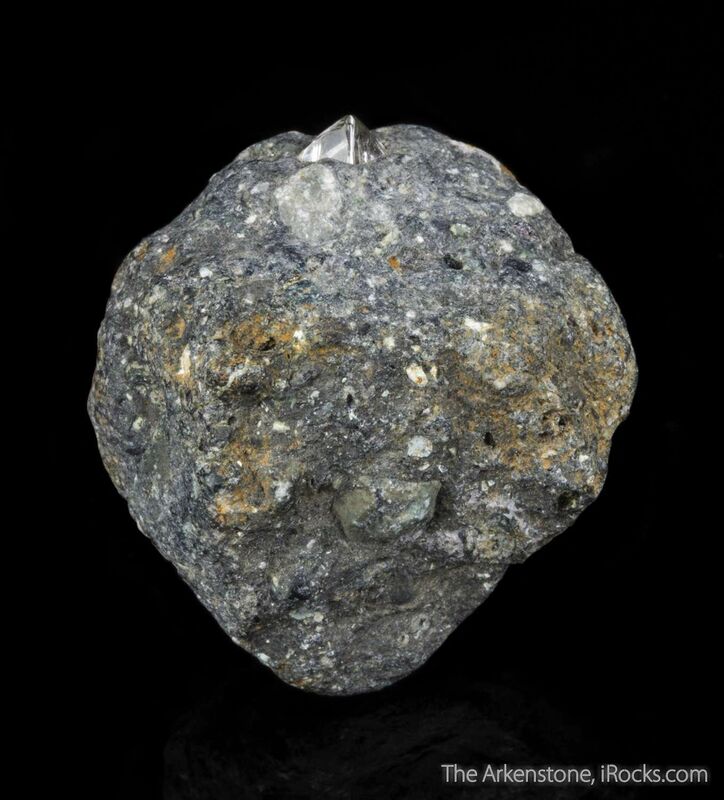 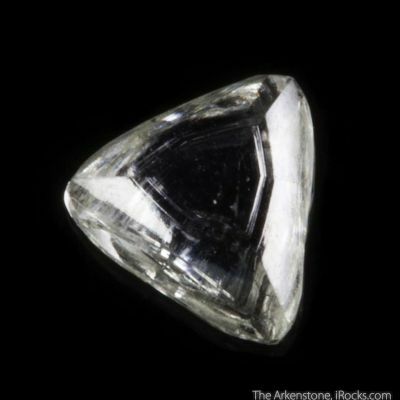 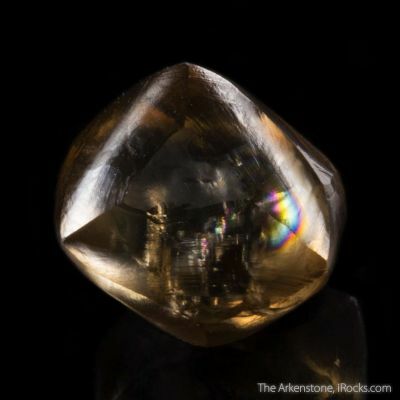 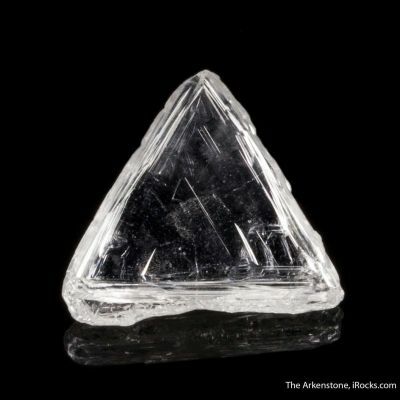 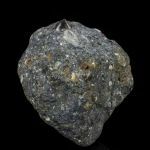 This rare specimen features a superb gem quality and SHARP diamond crystal in matrix from Russia. 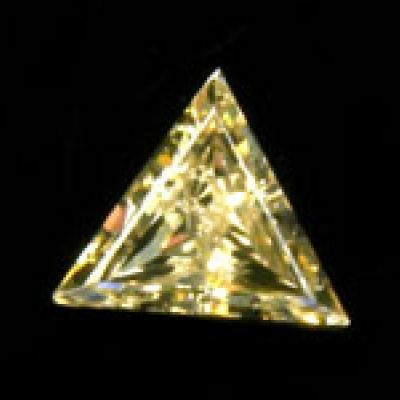 The crystal is a single razor sharp octohedron to 5 mm on edge. 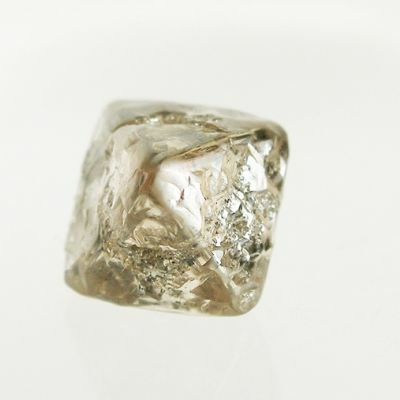 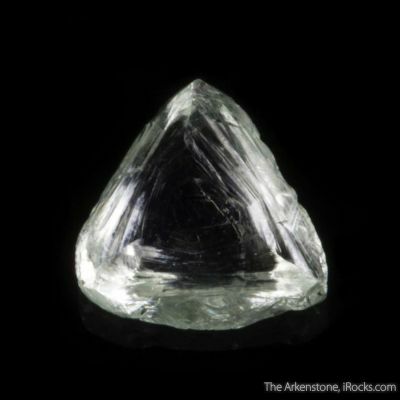 The diamond has been estimated to be just about 1.5 carats. 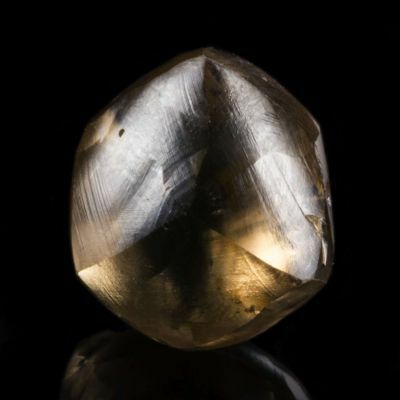 The diamond is gemmy and read-through, absolutely facettable (not just a "reference specimen"). 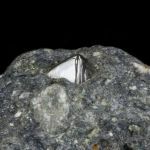 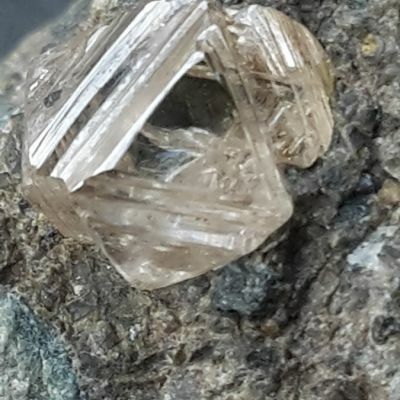 Although it might seem small, it has wonderful visual impact because of the clarity and exposed perch on matrix - although it is actually embedded perhaps 50% in the matrix, so you know it is real. 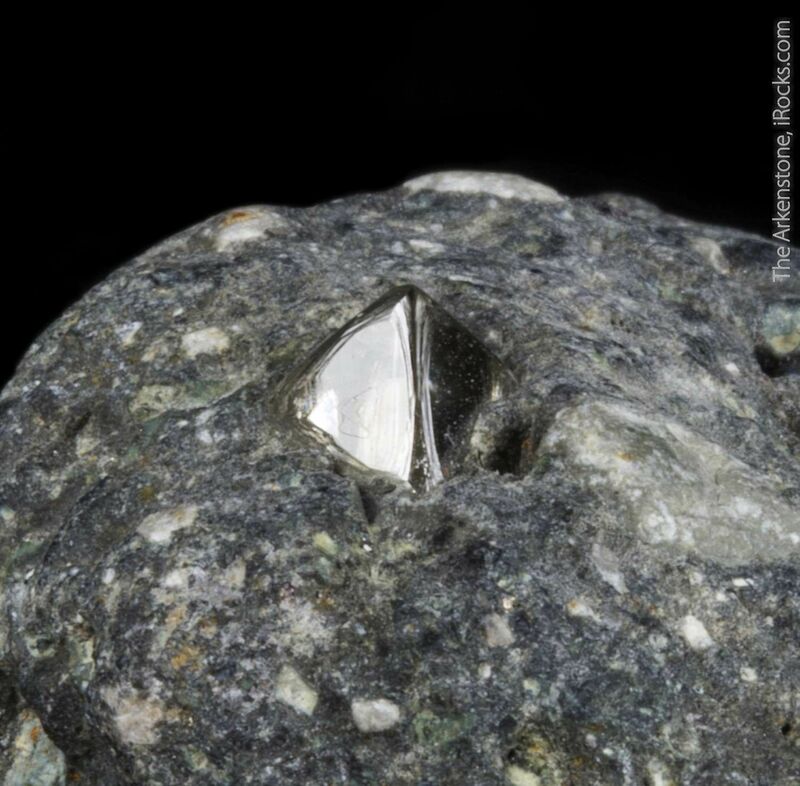 What is more, you can look right through the diamond to the matrix underneath! 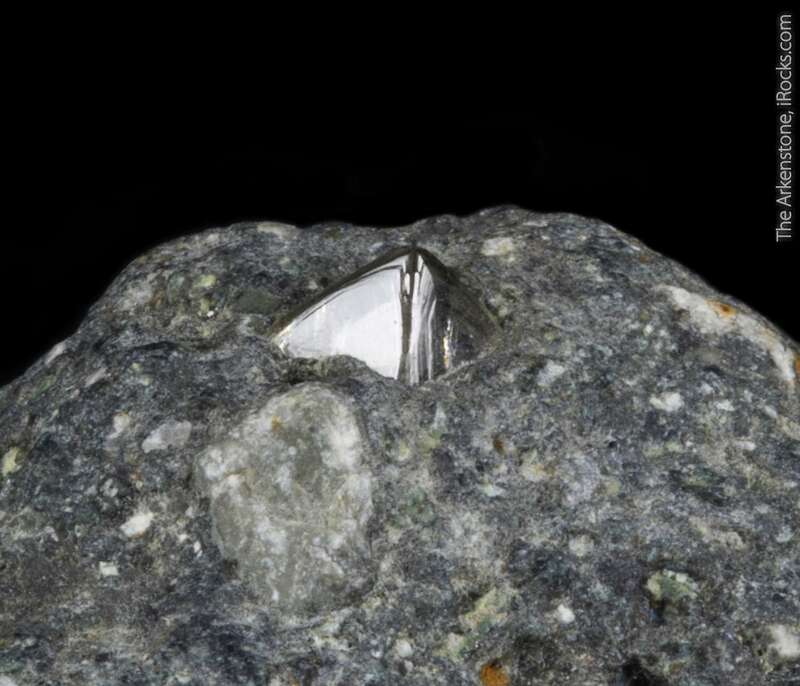 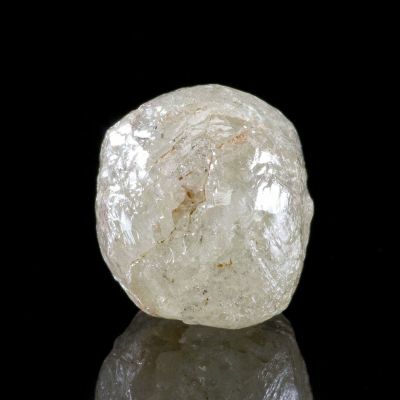 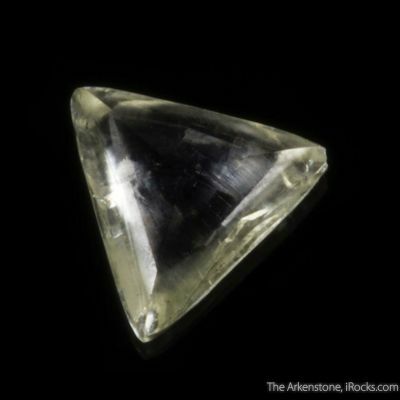 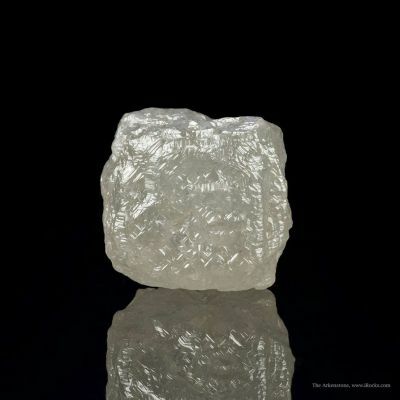 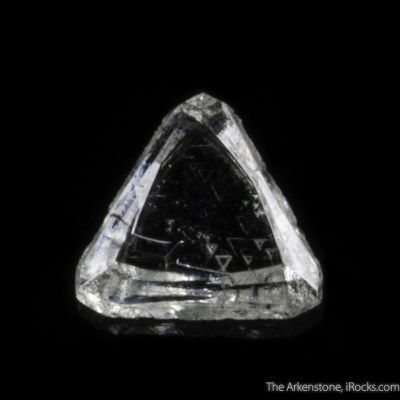 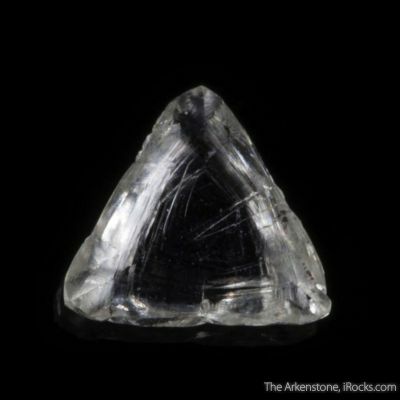 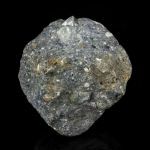 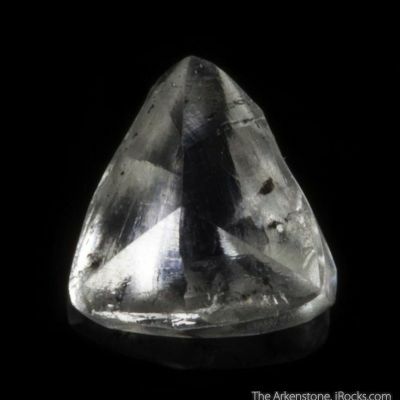 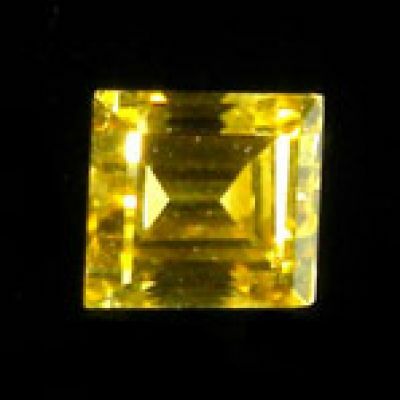 Around the diamond is a thin white layer you sometimes see, which indicates not a cheap glue but rather an alteration in the surrounding rock due to the chemical heat of formation of the crystal and is a good indication of its origins as natural.